First blanch Palak in boiling water and the put it in ice cold water and grind it in to a paste and keep aside. Heat oil in a pan add Cumin seeds, Garlic paste, Chilli Ginger paste, Onion cook them till translucent, now put grated tomatoes and cook them properly. Add Palak paste, Lemon juice, Garam Masala, cream and salt mix properly and simmer for a while. 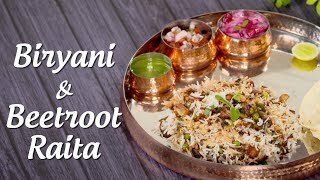 Serve with some cream and ghee. In a bowl make dough out of refined flour, wheat flour, salt, oil, water of soft consistent. Now take a small amount of dough and roll it out a apply ghee and fold it in half now again apply ghee on it and fold in quarter. Dust some flour and roll in in a triangle shape paratha, repeat same for all. 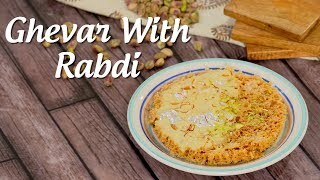 Learn how to make Rabdi Ghevar at home by Varun Inamdar only on Big Bazaar #KuchNayaTryKarein. 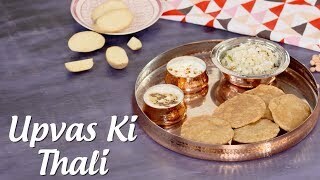 Learn how to cook delicious Fast recipes and make amazing Upvas Ki Thali by Archana Arte only on Big Bazaar #KuchNayaTryKarein.